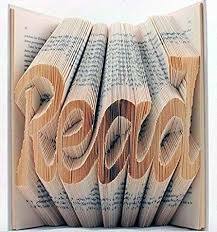 Join us Wednesday April 10th 7-9pm for an introduction to the world of folded book art. Well worn and loved books can be repurposed into beautiful works of art! Who know THAT was a thing? It’s awesome and relaxing. A great activity for sitting and chatting while making. If there is sufficient interest, we may host other classes that build on skills learned here to create more complex designs. Class size is limited to 10 people, so PLEASE SIGN UP at the library or call 518-648-5444! We will collect names for a wait list if we can’t fit everyone in the first class.